fashionably petite: More Sample Sales! Catherine Malandrino, Borghese and L’Oréal! More Sample Sales! Catherine Malandrino, Borghese and L’Oréal! Every time I look there's another sample sale going on! 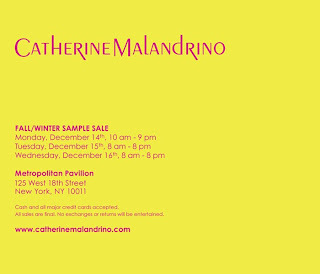 There's just one day left of the Catherine Malandrino sale - get to it! 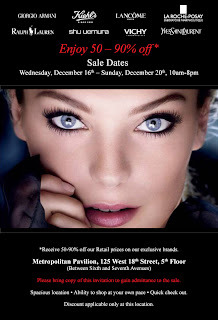 The Borghese sale is always a good one - last year I scored a small sized jar of Fango Mud and lip balm shimmer for $5 each! This sale requires you to bring your own bag, so be sure to have your foldable tote handy. Although I definitely don't need any more makeup or skin care, I always look forward to making it to L’Oréal's luxury products sale, including fragrances, cosmetics and body care. I always stock up on Kiehl's lip gloss ($5 at last year's sale), lotions and shower gels (both were $7 at last year's sale). I had also scored a shu uemura brush set, Lancome black eyeliner and Juicy tubes. Yves Saint Laurent cosmetics - how can I not check that out?